Schizophrenia is a severe, life long brain disorder. People who have it may hear voices, see things that are not there or believe that others are reading or controlling their minds. No one is sure what causes schizophrenia, but your genetic makeup and brain chemistry probably pay a role. Medicines can relieve many of the symptoms, but it can take several attempts before you find the right drug. With treatment, many people improve enough to lead satisfying lives. 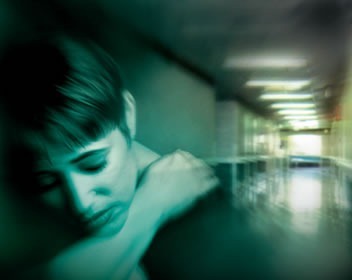 Schizophrenia often interferes with a person’s ability to think clearly, to distinguish reality from fantasy, to manage emotions, make decisions and relate to others. The first signs of schizophrenia typically emerge in the teenage years or early twenties, often later for females. Most people with schizophrenia contend with the illness chronically or episodically throughout their lives, and are often stigmatized by lack of public understanding about the disease. Schizophrenia is not caused by bad parenting or personal weakness. A person with schizophrenia does not have a split personality and almost all people with schizophrenia are not dangerous or violent towards others while they are receiving treatment. It include delusions and hallucinations because the patient has lost touch with reality in certain important ways. Delusions cause individuals to believe that people are reading their thoughts or plotting against them. Hallucinations cause people to hear or see things. They may even taste things or smell things that are not present. It includes emotional flatness or lack of expression, an inability to start and follow through with activities, speech that is brief and devoid of content and a lack of pleasure or interest in life. Negative does not refer to a person’s attitude but to a lack of certain characteristics that should be there. These pertain to thinking process. For example, people may have difficulty with prioritizing tasks, certain kinds of memory functions and organizing their thoughts. Scientists still do not know the specific causes of schizophrenia. It seems to be caused by a combination of problems including genetic vulnerability and environmental factors that occur during person’s development.